Music provides an unique entertainment in people’s daily life, which makes people relaxed or express their true feelings. 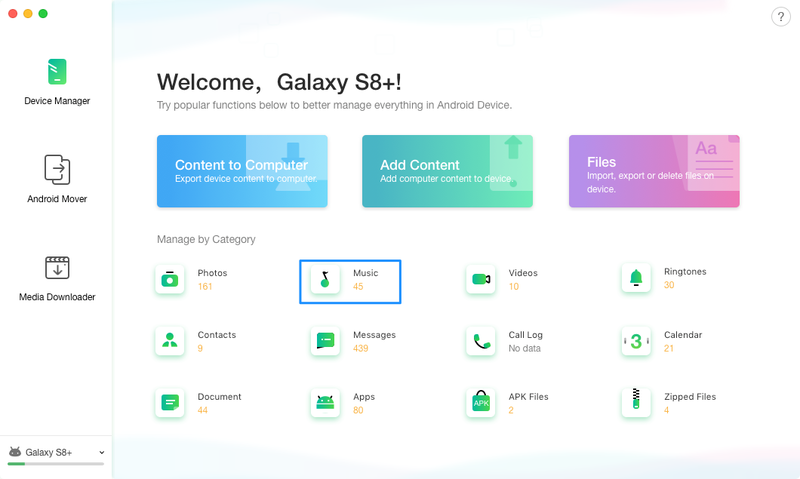 Now, AnyTrans for Android comes to help you transfer music from Android device to computer or iTunes & from computer to Android device, between Android devices and even delete unwanted music directly. 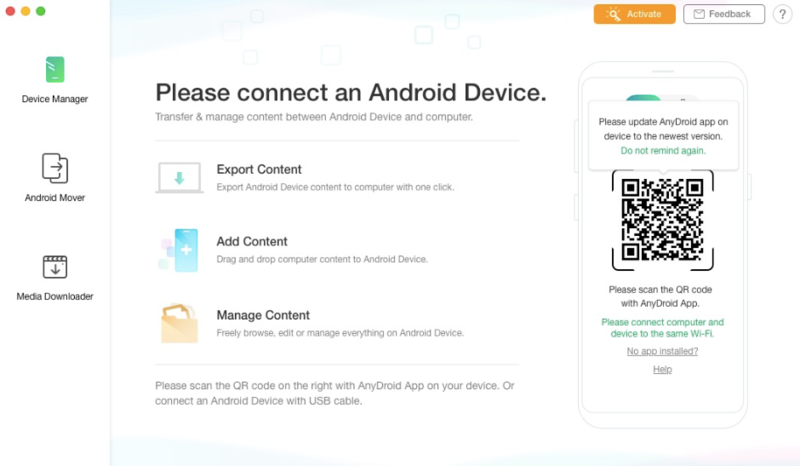 Please refer to the detailed user guide below to make good use of AnyTrans for Android. After the loading process completes, it will show you the total number of music on the lower right of the Music icon. If it shows empty in Music icon, it indicates that there is no any music in device. 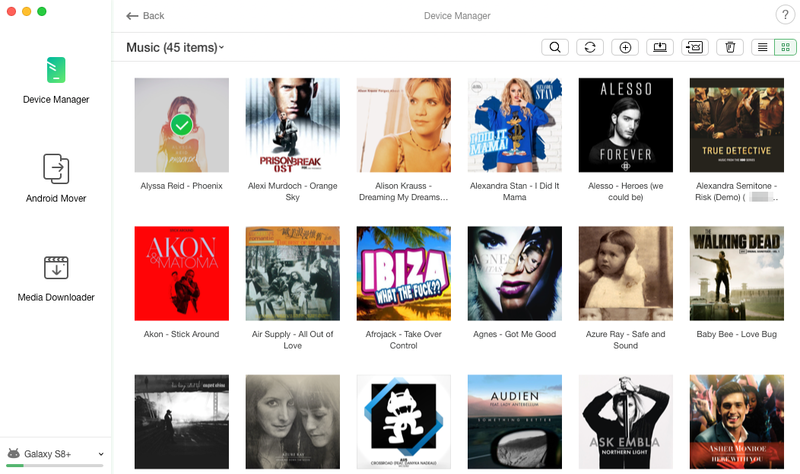 In order to manage your music better, you can change the preview mode by clicking . Clicking button, you can transfer music between Android devices. To add music from computer to device, please click button. 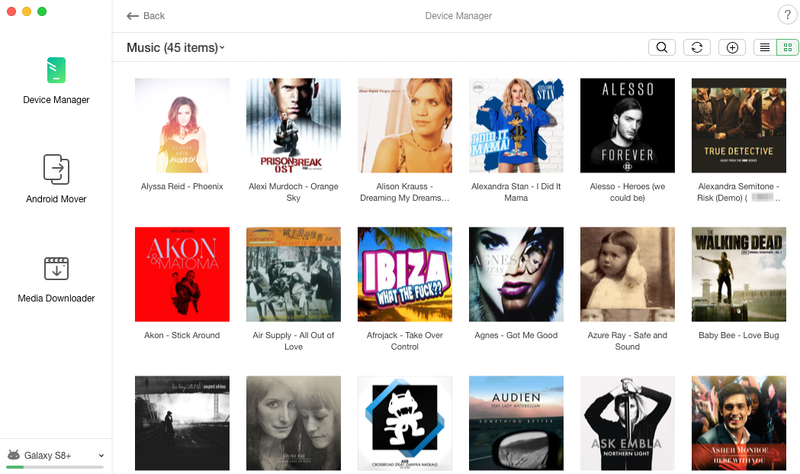 To transfer music from Android device to iTunes, please click button. To delete unwanted music, please click button. If AnyTrans doesn’t load your music correctly, please click button to refresh the interface. 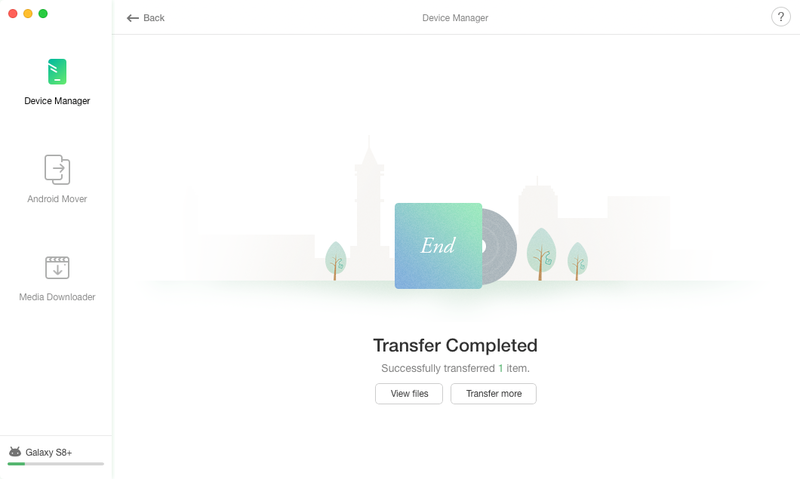 Once the transferring process is completed, you will see “Transfer Completed” Page. If you want to locate the exported music, please click button. To transfer more items, please click button. To go back to the previous interface, please click button.